Total steel delivered means the amount of steel for packaging that was delivered to the EU27 market. Tinplate & Electrolytic Chromium Coated Steel are the two types of packaging steel used. The 2009 crisis is clearly visible here. Deliveries have remained consistent, even slightly increasing, since the 2009 market dip that affected all packaging materials. 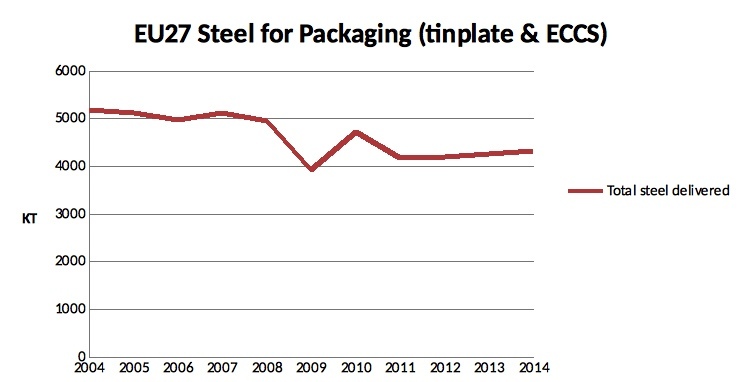 Steel packaging producers continue efforts to lightweight material so that in fact more pieces of packaging are actually on the market for the same tonnage delivered. 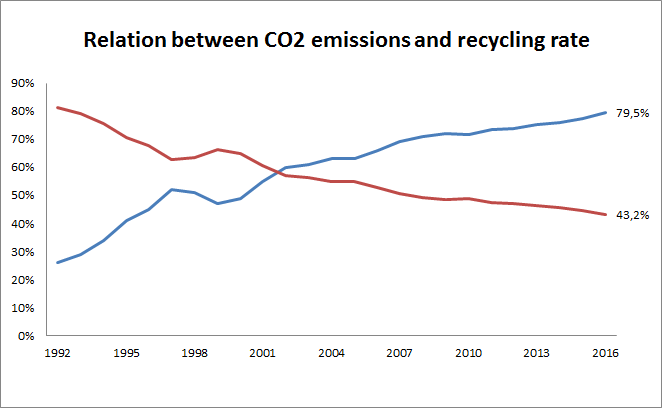 As steel recycling increases, CO2 emissions in production decrease. Steel is the most recycled material in the world. 79,5% of steel packaging is currently recycled, meaning over 20 years of continuous improvement by the steel for packaging sector where recycling rates have risen more than threefold. 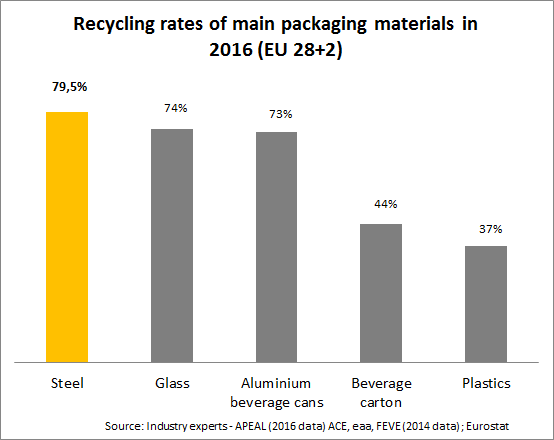 Furthermore, we estimate that recycled steel accounts for 60% of steel for packaging produced in Europe. Our common industry objective is that by 2020, 80% of European steel packaging is recycled. It’s an objective we believe we can achieve. 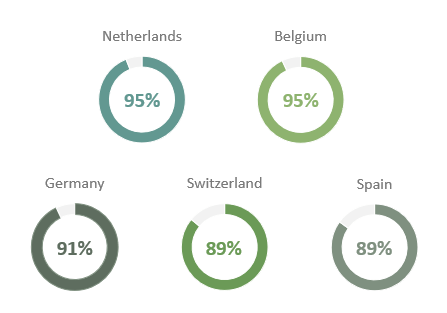 The top 5 EU recyclers average over 90% recycling rate between them.